Agile leadership as a framework for project delivery and success. What is agile? How does it work? And what does it mean for you? How do you implement it? Whether you have just wondered about agile project management or dipped one toe in, this course will give you the core skills you need to deliver better projects faster using an agile mindset and framework. Delve into what being agile really means, how it differs from traditional delivery and leadership models, and the skills and behaviours required to be successful in a changing environment. Collaboration and interaction are key. You’ll gain hands-on experience in bringing some core techniques to life as well as learning important principles and concepts. Thousands of project managers and leaders are already taking advantage of the benefits agile has to offer. Start your transition to agile here. 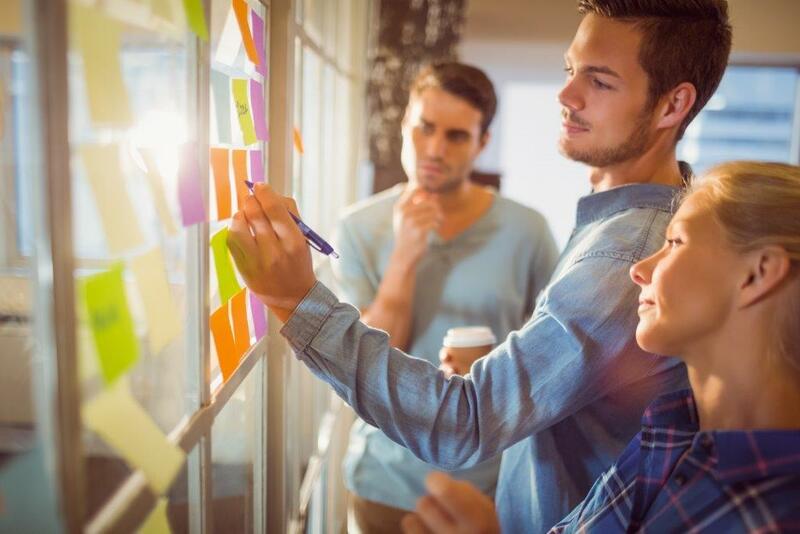 Your employer will benefit because as well as understanding the underlying principles and values of agile, you will take away practical and practiced techniques so you can enhance delivery as soon as you return to work. This short course is based on the research and findings of Erika Barden who is an experienced agile consultant and practitioner. She has worked in a diverse range of sectors leading transformation teams and assisting organisations with agile implementation projects.